I found this adorable $1 stamp set at Joann's and just had to have it. (Apologies for the terrible photos of this card - I'm not sure what was up). 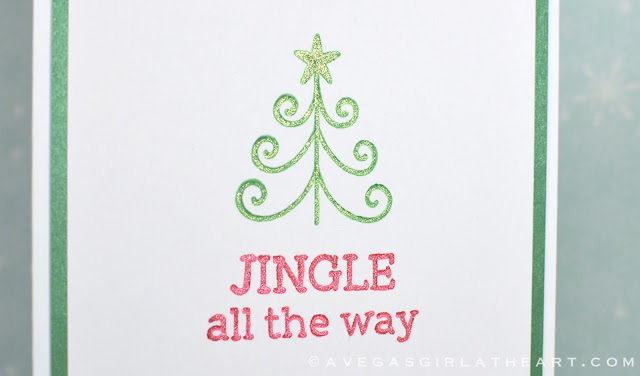 I stamped the tree in green and the sentiment in red, then went over both with Gelly Roll glitter pens. I LOVE the simplicity of this stamp. 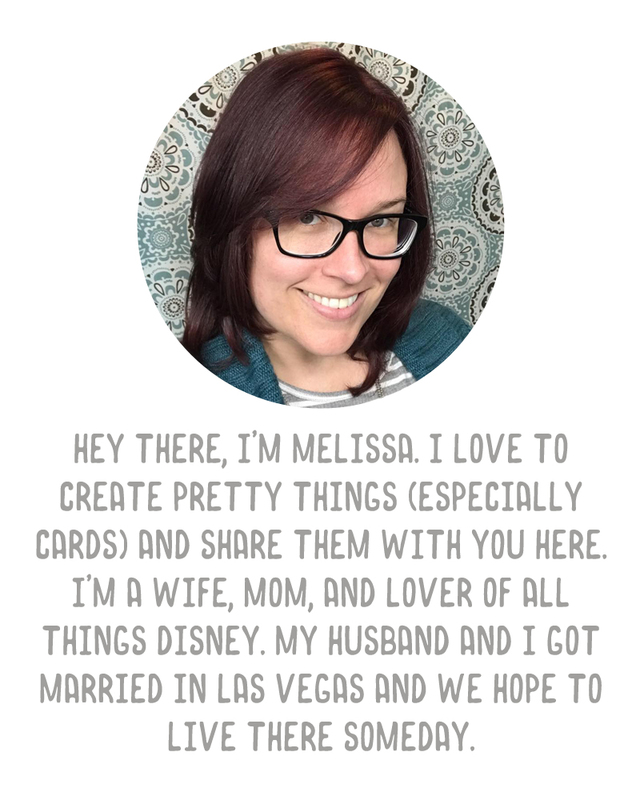 I deliberately kept the card style simple as well. I want to use this stamp for simple sets of Christmas cards and tags. Just love it! 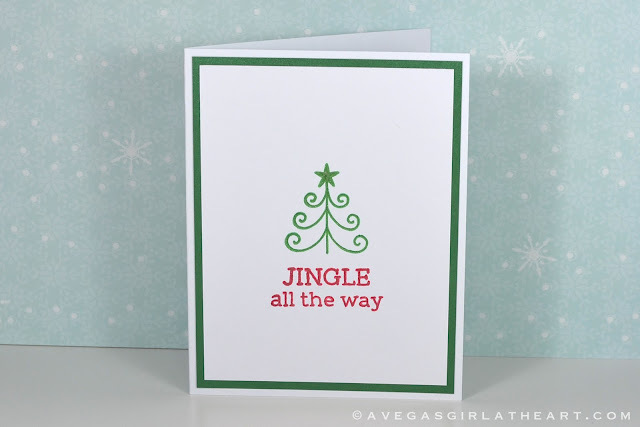 LOVE these kinds of simple, clean, beautiful cards! :) Great job! I agree! Love the simplicity of the stamp, its really cute, and sweet!